This article was posted on 26th June 2013. French style is a mixture of antique furniture, varying but complementary colour schemes, and beautiful and subtle decorative items like chandeliers. It does not try to be in fashion but instead values comfort and taste. The colour scheme can be delicate or bold, but it is always charming, inviting and elegant. A French-style bedroom is simple to achieve. Forget matching bedroom furniture; the key to achieving the look is to mix and match. Have a chest of drawers in a dark wood combined with a white bedroom furniture such as a painted wardrobe, for example. The furniture should look ‘distressed’, with the edges sanded down to reveal the wood beneath the paint or painted with special paint to look ‘crackled’. The French bed is always the focal point of a bedroom. You can make it even more distinctive with an elaborate metal bedstead or carved wooden headboard, perhaps stencilling a design or even writing a poem on it to personalise it. Consider placing a crown canopy above the bed and drape the canopy with a light toile fabric. Accent the room with key pieces of French style furniture if there is sufficient space, such as an antique dressing screen or an old-fashioned chair. 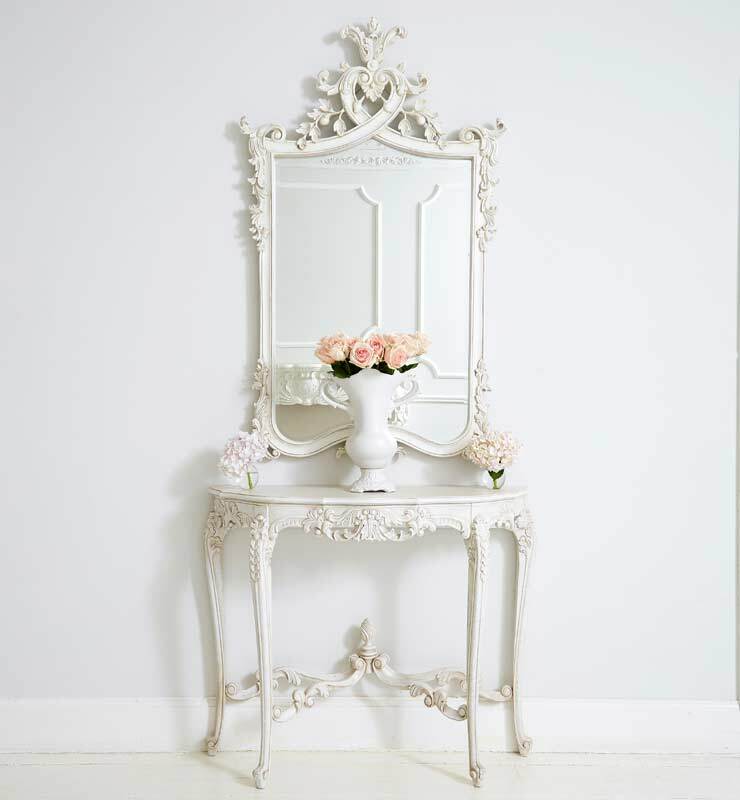 A French dressing table is essential for this most feminine of bedroom styles. To achieve a French-style look, the colours of the French countryside need to be introduced. The bedroom should be decorated in lavenders, pale lilacs, creams, soft sky blues and sage greens. If a bolder, more rustic style is preferred, try burnt orange tones, browns and yellows. A French-style bedroom would not be complete without a stunning window treatment. There are lots of inspirational pictures to be found in magazines and on the internet to give you design ideas, but the classic look is achieved by combining linen or light fabric blinds, or toile net or drapes, with painted wooden shutters. The shutters can either be decorative and static by securing them to the interior wall, or they can be functional and fold shut to block out the light. A classic French-style bedroom is a feminine space. This does not mean it should be cluttered with shoes and clothes, but it should give the impression of having been lived-in. Dress the bed with white or cream luxury bed linen embroidered with lace, and add broderie-edged pillowcases, accent cushions in a floral fabric and fringed throws to create extra layers of texture. Surfaces should be home to vintage bottles and jars of perfumes and cosmetics to get that vintage look. Items of jewellery should be on display on the French dressing table or draped around the neck of a mannequin bust. Frame black and white prints and paintings for the walls; for the light fittings, choose metal wall sconces with candle-like features, or a central chandelier, or table lamps with metal stands painted in black or white. As with the painted furniture, the painted metal area of the lights should be distressed to reveal the metal beneath. The lampshades should be covered in coloured fabric and perhaps fringed or rimmed with beads. Overall, the room should feel comfortable and welcoming.